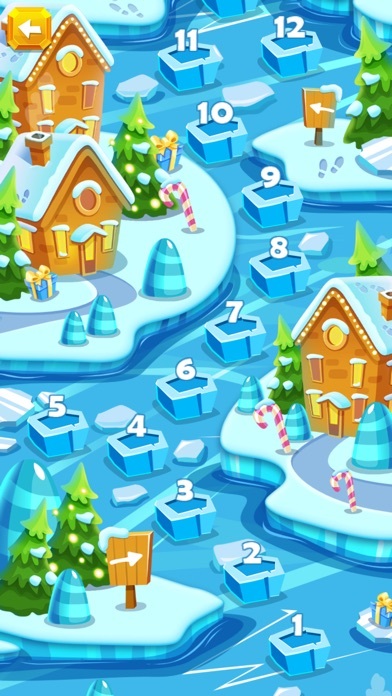 Put your mind at ease with this new set of familiar puzzles! Swipe your finger over the letters on the plate to form words. 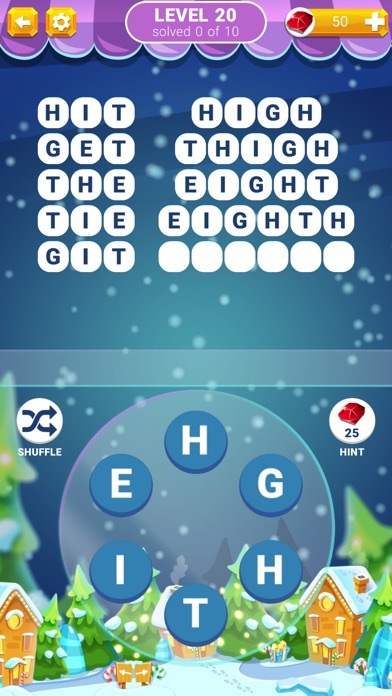 Find all words in the list to advance to the next puzzle. 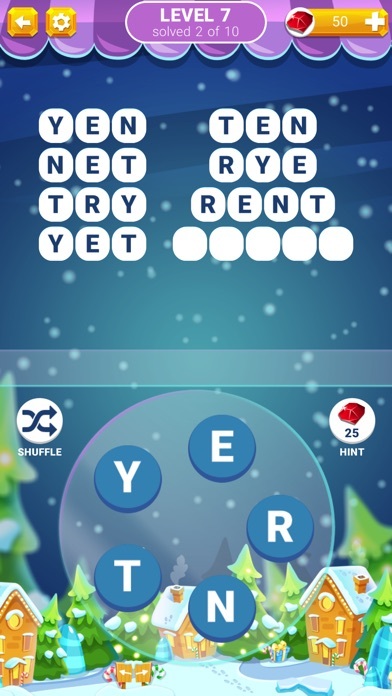 Additional hidden words will give you extra bonus. 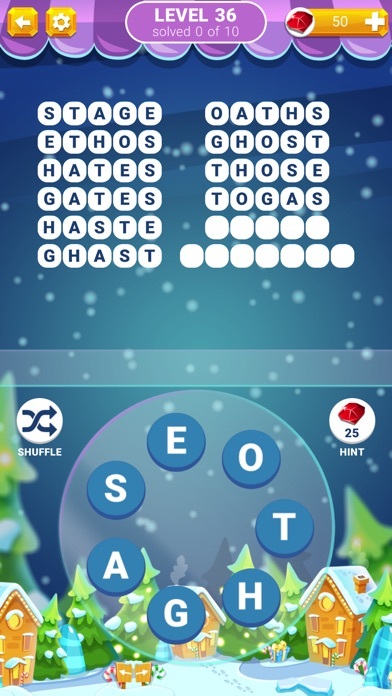 FEATURES • discover new words • easy to play • hundreds of puzzles to solve for you and your friends • excellent word game to keep your brain sharp • made for phones and tablets If you like crosswords and word puzzles, this game is for you and your friends. Download and enjoy! 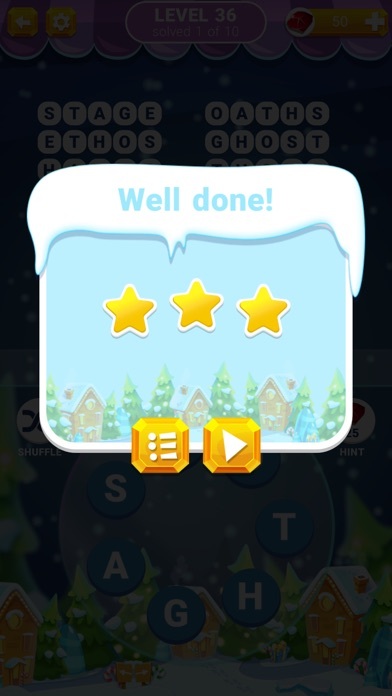 This is an addictive game and helps keeping my brain working. It starts out easy then jumps to harder.